It's been a few years now since we started talking about virtual reality, but 2016 proved to be the watershed year for this technology. The overall potential this technology holds is without parallel, and we will no doubt see more innovations in the years ahead. While the positive aspects of VR are evident, there is always another side to every story. So, here we decided to analyze the possible side effects VR could have on users in the short to long-term. My VR experience: alienating, embarassing and a must try! While we often find ourselves talking about the negatives that any technological advancement brings into our lives, it's important not to forget those which actually work to our advantage. The "benefits" of VR could be compared to the positive effects of something like the release of Pokémon Go, which encouraged users to move and interact with one another. VR has also been used to assist autistic users by developing apps to help them become more independent, cure panic attacks or as a tool in pain management through distraction therapy. VR will also enable us to make better lifestyle choices, such as being able to test a car so you don't have any more doubts about the which model to buy or being able to watch a preview of a particular city or sightseeing spot before you plan your holiday. So, before reading about some of the cons, its important to remember there are a huge number of pros which come with this new technology. For many first time users of any form of VR device, in addition to the excitement which comes with this experience, many also come away with some strange feelings as a result of their session. 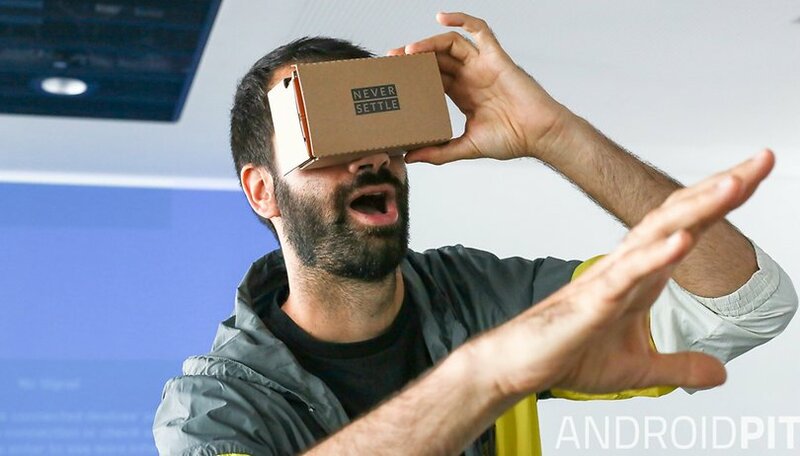 Just as an example, when my colleague Hans-Georg tested Google DayDream, he said that after half an hour of use he was ready to "run away from the virtual world." It left him with sore eyes and feeling very run down. Other users have said that the combined weight of wearing a smartphone and the VR headset are felt relatively quickly, and so some have advised that to avoid headaches, stiff necks and eye strain you shouldn't use the viewer for an extensive period of time. For anyone who has recently bought or been given a VR headset, you would have already noticed the warning leaflets that come in the box. Gear VR users are advised to take "a break of 10-15 minutes every 30 minutes of play, even when you do not feel the need" and not to use the device "when you are tired, under stress, are unwell, suffering from a migraine" - and so on for a few lines. We all know that most things come with a full range of side effects, most of which would ensure that we never try anything ever again. In this case, however, the issues which are cited are actually recurring ones which many people experience. Even the warnings for the Oculus Rift advise users to pay attention when driving cars, riding bicycles or operating other equipment if they feel strange after using the virtual viewer. Among the most common post-use symptoms are "an extreme lethargy and a reduction in multi-tasking capabilities," and so you need to be careful because "these symptoms may expose you to a higher risk of injury in the course of ordinary activities in the real world". So we come away feeling dumbstruck by the real world because we have had our heads inside an alternative reality for too long. Leaving aside the possible side effects of tripping over, bumping into walls and not being able to tell left from right, there are other issues to consider. It's natural to think that sticking something to your head to completely cover your eyes will have some detrimental effects - but why? Some scientists have already noticed that when using VR people will always focus on a fixed point, even if the objects appear both near and far. This will then cause a so-called "vergence accommodation conflict," where your ability to focus on an object is reduced. Even if we do find ourselves in a fast-paced game, we need to contend with the lack of balance and space, as whilst the game will keep moving we are usually sitting down in a room somewhere - this can sometimes lead to nausea and a sense of disorientation. One of the latest tech goodies to be to be presented at this year's CES in Las Vegas was the reliefband anti-nausea bracelet. Whilst this was originally developed to relieve nausea caused by travel, motion sickness or morning sickness, it's now being marketed as a way of bringing fast relief from long VR gaming sessions. If you think about it, VR has the potential become much more intrusive, and as a result, a more effective media device than old media like television. Real life experiences, similar to those which actually take place, will be able to be experienced first-hand and with the active involvement of a potentially large audience. But, as we've already assessed some of the short-term effects of VR, it's timely to consider those issues which could have lasting consequences. With the advancements in VR technology there has already been a lot of research undertaken on its effects in the longer term. Jeremy Bailenson, the founder and director of the Virtual Human Interaction Lab at Stanford University, has carried out a wide-ranging study to test the effects of medium to long-term VR use in people (positive or negative, depending on the study perspective). The user test was as follows: wearing a VR headset, the user needs to find a tree that is located in a very pleasant area, filled with twittering birds. The experimenter then reads out loud a short piece revealing how many rolls of non-recycled toilet paper a single cord of tree is able to produce, and how many trees had been cut down to supply an average 20 year-old American with non-recycled toilet paper. The tester is then instructed to cut down the tree, and the sound of a chainsaw can then be heard. As soon as the tree is felled - thud - the birdsong abruptly stops. The purpose of the study was to encourage participants to make a more conscious decision about which toilet paper they bought - recycled or non-recycled. Bailenson has said that even after completing the study he kept receiving emails from volunteers, who said that when they used paper they couldn't avoid hearing the deafening noise of the fall of that tree. "Over the next 10 years instead of watching the news, people could live the events firsthand," said Bailenson. The idea of allowing people to gain more insight into world events has the potential to fire our imagination as well as scare many of us. That said, we need to assess how the media has evolved over time and look at this as a natural evolution of how we both access and engage with news and current affairs. Whilst I am expecting that most readers will not have experienced the advent of television first hand, by bringing television into our everyday lives it was able to educate and inform as well as generate fear and change. The Vietnam War was the first televised conflict, so the general public were able to view the absolute cruelty of war on the small screen. What would happen if news starts being broadcast via VR? VR can clearly be used to propagate (mis)information, enable us to hide in another reality, distract us from the world around us, control pain, discover remote locations without leaving the comfort of your home or relive past events, private and global. Quoting Bailenson: "A technology of this magnitude is like uranium: it can heat your home but can also destroy the world." Therefore, pointing to the pros and cons of going deep into VR, there remains only one thing left to say: the proper use of these amazing new devices is in all our hands. What are your thoughts on VR? Do you think it could be bad for society or for your health? As possible side effects in the short or long term I see only to end the Great World Crisis ! There will be uses but it's not a main stream market penetrating technology as currently constituted. The biggest challenge I find with VR is that users will soon tend to forget the actual reality and travel all the way to virtual reality. This should not happen if humans are supposed to break or make the things by being physically present. Think vr will go the same way as 3d down the pan!